Dutton Plumbing wanted to grow their market share and become the #1 top of mind plumbing company in the market. They also wanted to increase lead gen/service calls for drain clearing and website service appointments, and have a stronger, stickier brand message across all elements of their advertising, including their website and their trucks.They were also looking for a creative team that really understood the PLUMBING business to "do it all" for them. We're the plumbing advertising experts - here's how we moved the needle for Dutton Plumbing! New jingle for brand recall, and radio campaign with a "MOM" character to create funny, effective commercials. CLICK ARROW ON PHOTO TO PLAY. Created graphics and digital advertising for display and retargeting programs. The “MOM” campaign heavily increased their brand awareness! The owner "can’t go anywhere” without people asking if he’s Eric from the radio commercials. 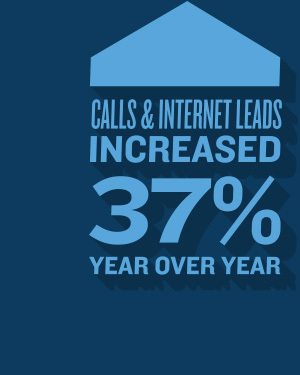 Calls and internet leads increased 37% YOY for just one sample month. As a result they had to run recruitment ads to handle the increase in business! "It's awesome working with Steve, his creativity is out of this world, and they are savvy media negotiators. They create marketing that sticks- with our ”MOM” radio branding campaign, he has made us familiar personalities in our community, I can't go anywhere without hearing "Hey are you THE Eric Dutton on the radio?... how's your mom doing, she's cool!" I've referred SGMA with confidence over the last 2 years." SGM Advertising knows Plumbing Advertising. As the son of a plumber, Steve understands the plumbing business. Because plumbing is primarily an emergency based service, we create ad campaigns and media buys that keep your brand at the top of consumers minds.With the use of jingles and comedy, we make people remember your brand! When an emergency happens, the consumer will remember YOUR company first. We are proud to have won 8 Addy Awards for "Best Commercial of the Year" with our radio plumbing commercials! Our Google Ad service also puts your company at or near the top of Google searches.